Yon Ju delivers a new one called "Bodies". 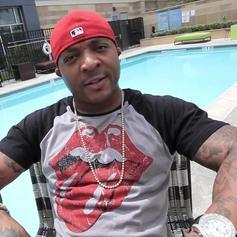 40 Glocc throws more fuel on the fire between him and Game with "Disrespectful." Yon Ju drops a new one called "Dedication". 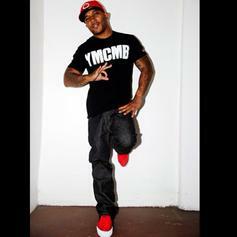 40 Glocc and Game continue to beef, with 40 deciding to unleash this diss track towards Game. 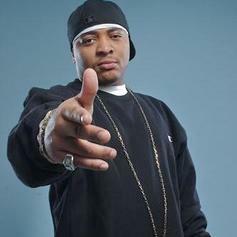 Check out 21 Gun Salute , the latest track from Yon Ju (formerly 40 Glocc), featuring Prodigy which dropped on Wednesday, February 1st, 2012. Give Money a listen - it's a new offering from Yon Ju (formerly 40 Glocc), featuring Chamillionaire, Paul Wall & OJ Da Juiceman. It was dropped on Sunday, February 5th, 2012. Stream Play The Record , the newest drop from Yon Ju (formerly 40 Glocc) which features Mobb Deep & Racq Dolo. The cut was released on Tuesday, December 20th, 2011. Stream Damn (Remix), the newest drop from Yon Ju (formerly 40 Glocc) which features Twista, Yo Gotti, & Ray J. The cut was released on Sunday, September 12th, 2010. Give Welcome to Cali (Remix) a listen - it's a new offering from Yon Ju (formerly 40 Glocc), featuring E-40, Too $Hort & Xzibit. It was dropped on Thursday, June 10th, 2010. Check out Welcome to Cali, the latest track from Yon Ju (formerly 40 Glocc), featuring Snoop Dogg, E-40, Too $Hort & Xzibit which dropped on Thursday, June 10th, 2010. Check out Damn, the latest track from Yon Ju (formerly 40 Glocc), featuring Ray J which dropped on Wednesday, May 26th, 2010.